Superintendent Alberto Carvalho, right, talks to iPrep Academy students and siblings Max and Hanna Sultz. Monday was the first day of school. 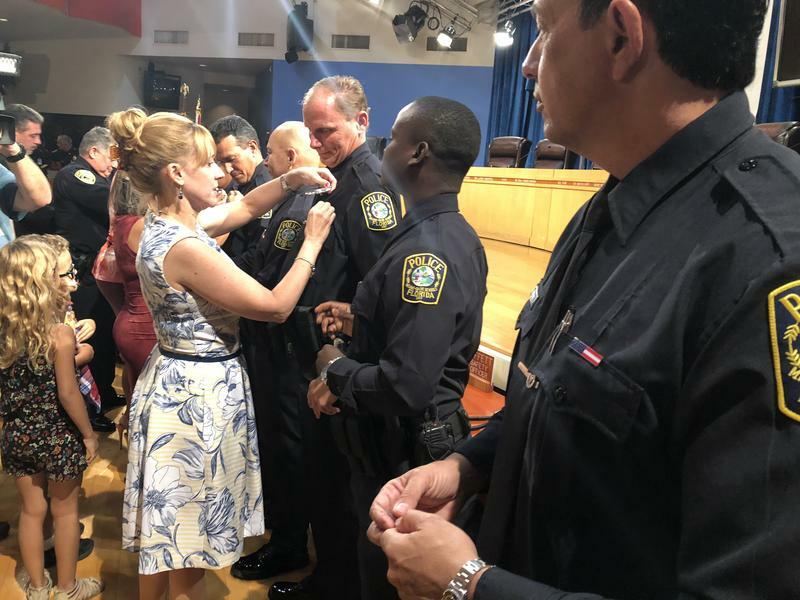 That statistic illustrates the intense focus on security this year — after the Feb. 14 shooting at Marjory Stoneman Douglas High School prompted a new law requiring an armed guard on every campus. But Superintendent Alberto Carvalho said he wants parents to worry more about what’s happening in the classroom. 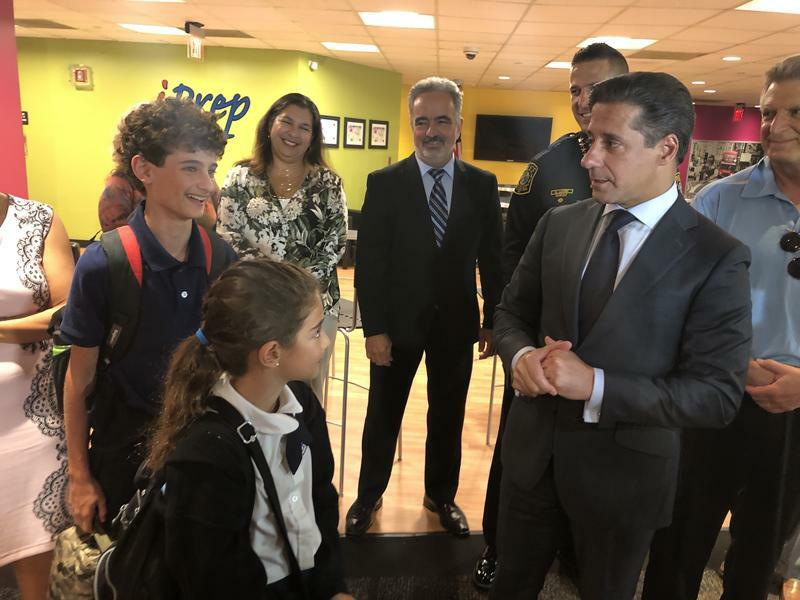 “Now is the time to shift our focus from the necessary obsession over safety and security to the normalcy of teaching and learning," Carvalho said on Monday afternoon during a news conference at iPrep Academy in downtown. Technically, Carvalho is principal of the school, which is across the street from district headquarters. Students' attendance was almost as good as police officers': nearly 95 percent of those who registered for school showed up on the first day. About 342,000 students are enrolled, and officials said they expect several thousand more to start by October. Carvalho visited schools throughout the day and said he was pleased with what he saw: locked classrooms and working security cameras, a focus on teaching right away and new options in cafeterias. He even tried breakfast at one school: a yogurt parfait, a whole wheat bagel and turkey sausage. A pair of iPrep students and siblings joined Carvalho for the press conference. Max Sultz is a new seventh grader; his sister, Hanna, just started fourth grade. 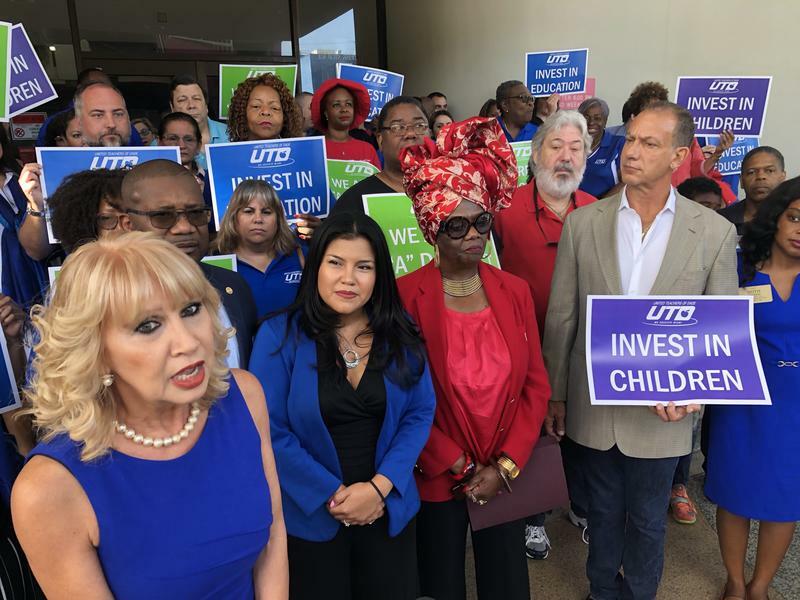 Property owners in Miami-Dade County are one step closer to absorbing a tax increase that would pay for public school teachers and campus police officers. 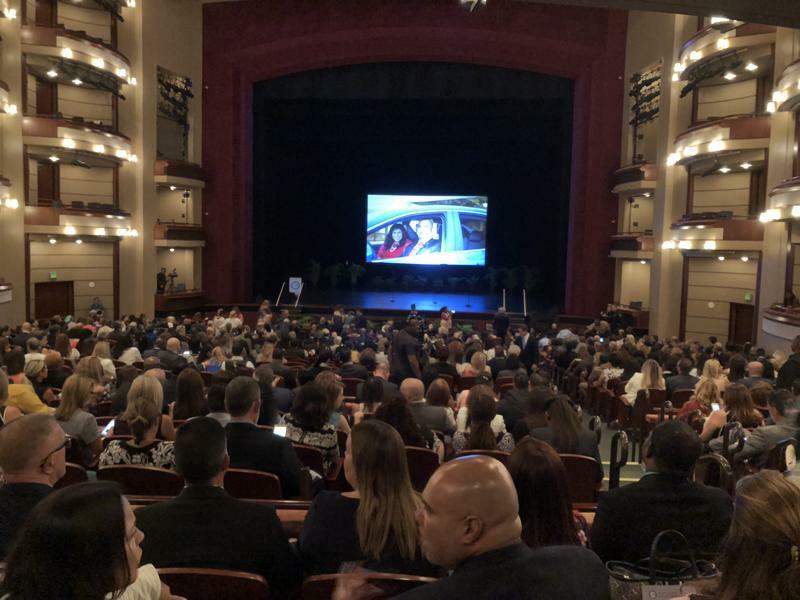 In an annual back-to-school address, the leader of Miami-Dade County Public Schools highlighted the district's star teachers and students. Like Lois Kirns, an 80-year-old physical education teacher at New World School of the Arts, who has been in the classroom for more than a half century. And Ethan Levy, an budding scientist and student at Dr. Michael M. Krop Senior High School.